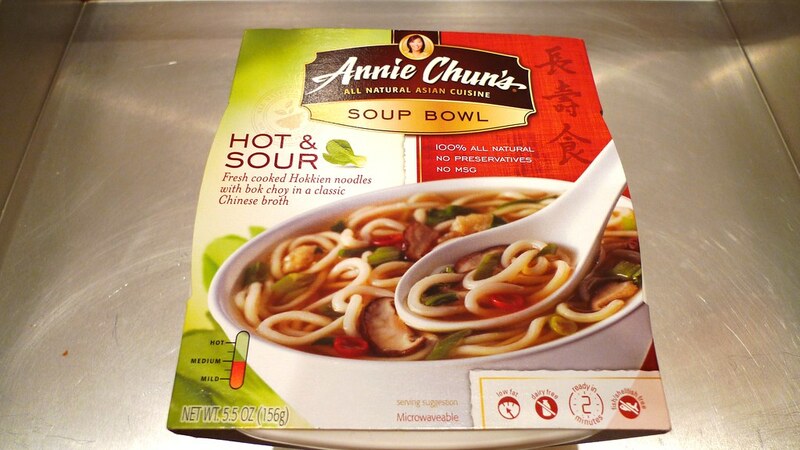 Annie Chun's Soup Bowl - Hot and Sour. 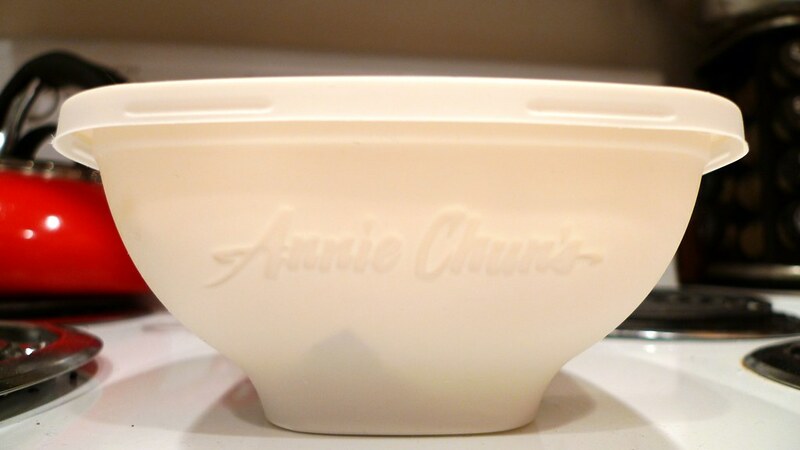 Annie Chun's Soup Bowl is the fancy, all natural version of bowl noodles. 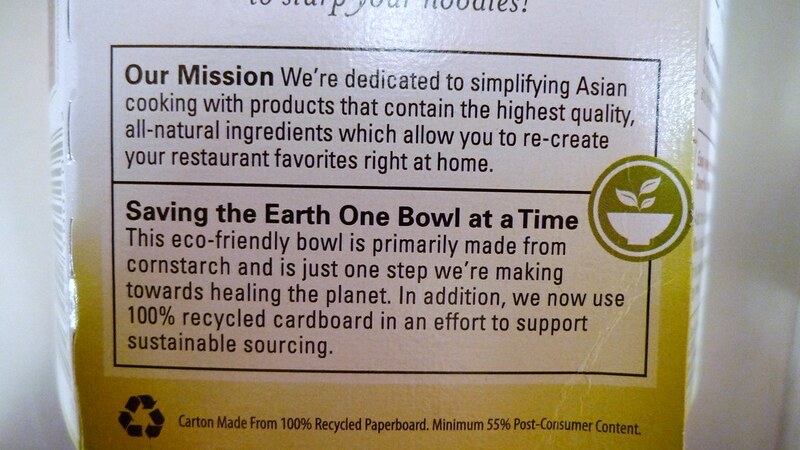 The cardboard is made of recycled paper and even the bowls are eco-friendly as they are made of cornstarch. 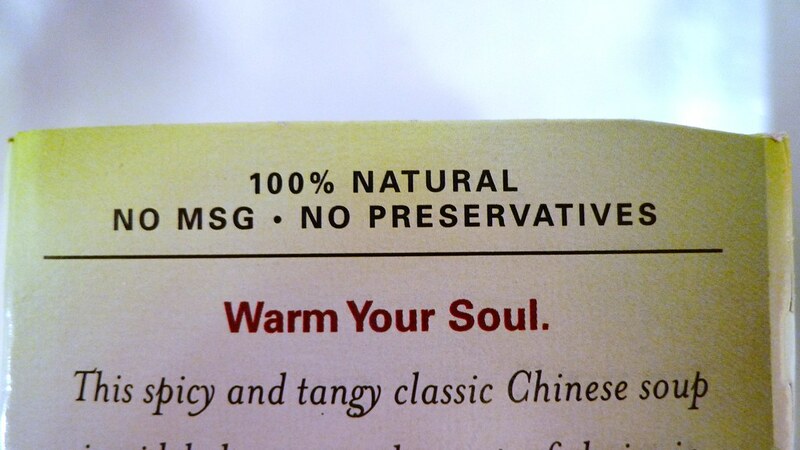 There's no MSG and no preservatives. But does that mean it's good? Read on to find out. I'm not one to go out of my way to get all natural or organic groceries. I see it as an added benefit when I do like something that's organic. I picked this up at Whole Foods, though you can find it in just about any major supermarket. Annie Chun founded her company in 1992 with the dream of creating healthy, delicious Asian foods that would introduce America to the diversity of Asian foods and flavors. 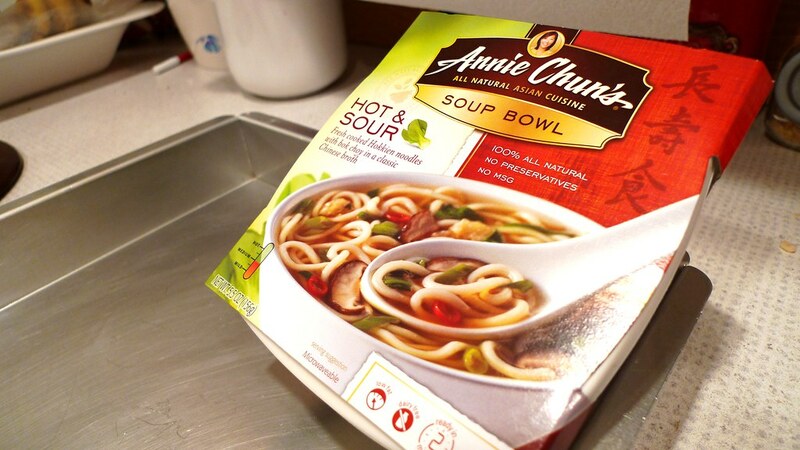 In 2005, Annie Chun’s forged a strategic partnership with CJ Corp., Korea’s largest food producer, strengthening the company’s commitment to creating all natural, great tasting products that promote good health and further the company’s goal of introducing new and exciting Asian foods to the American consumer. The complete line of innovative, premium goods provides a variety of options such as vegetarian, organic and gluten-free to adapt to dietary restrictions or preferences. 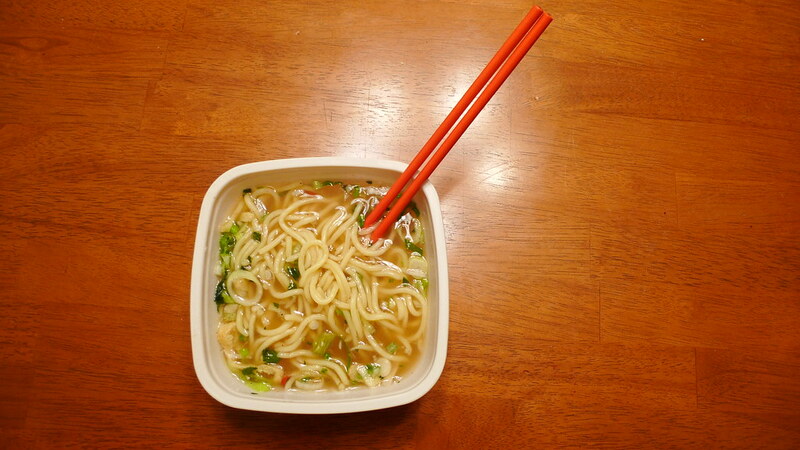 Contents in the Hot and Sour Soup Bowl. 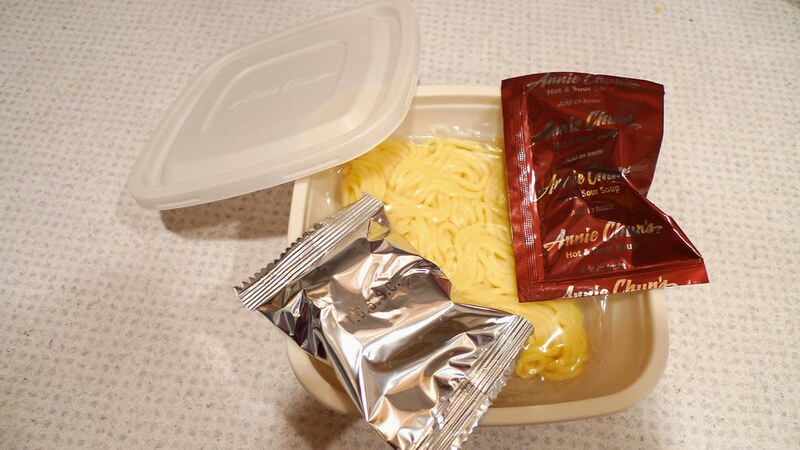 I'm glad that there are companies like Annie Chun's doing this, but unfortunately, I did not care for the taste. The noodles themselves are Hokkien style and the texture and size is quite nice. However, they don't sop up the broth very well, which is surprising and disappointing. And even though the bowl is a little less than twice the size of a Cup Noodles, it did not fill me up. The hot and sour broth was bland. It wasn't spicy at all and didn't taste like traditional hot and sour soup should. 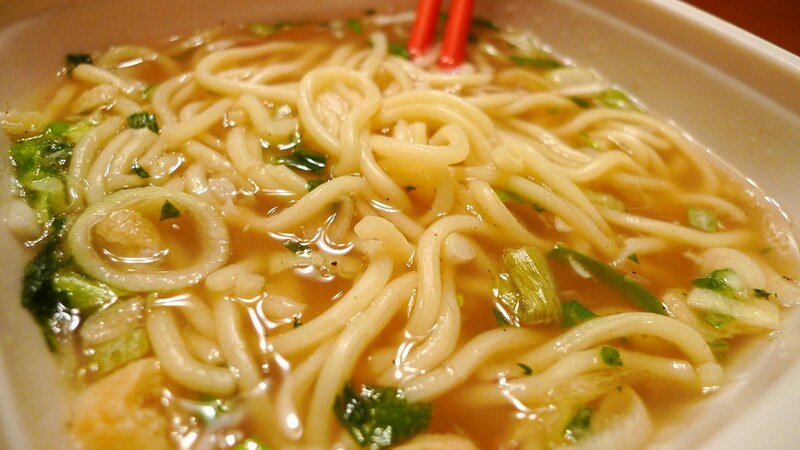 It was like eating noodles in hot ground pepper water. Not very pleasant. One reason might be the sodium content. 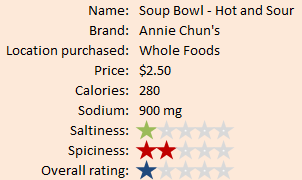 The whole bowl contains only 900mg of sodium. You might be thinking that that's a lot, but trust me, when it comes to instant noodles, it's really not. For example, Nissin's Demae has 2140mg in one package. This can be seen as a positive and negative thing. 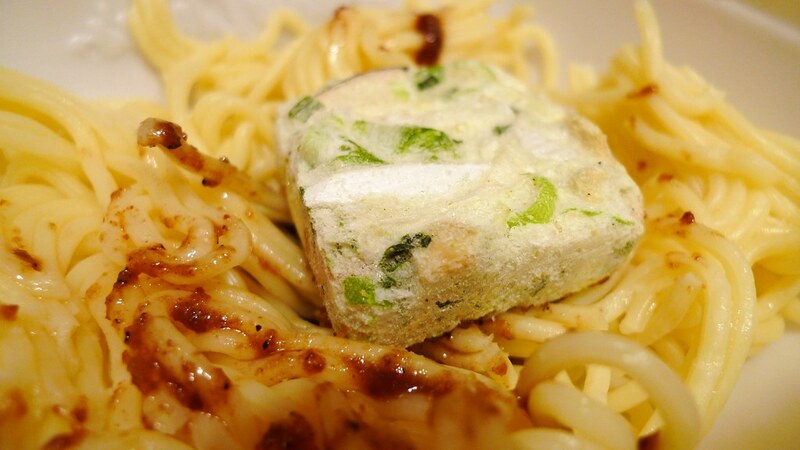 Applying seasoning and vegetable cube to noodles. You get an unattractive cube of dried vegetables with the seasoning, which was actually made up of wet ingredients instead of a dry mix. The dried vegetable cube included scallions, bok choy, deep-fried tofu, red pepper, and shiitake mushrooms. Yeah, ew. It should be noted that I used the microwave instructions since it looked like the main way Annie Chun's wants you to cook their noodles. I didn't bother letting Juliana try any. Thought I'd spare her the pain of possibly ruining noodles forever for her. Unless you are an all natural freak, stay away from this one. Hopefully some of the other flavors are better. other condiments to make it edible. I actually just finished a bowl of Korean Sweet Chili and it seems to be much better than the Hot and Sour flavor Bowl you described. Maybe you can give Annie Chun's another chance and try their Korean Sweet Chili Bowl? 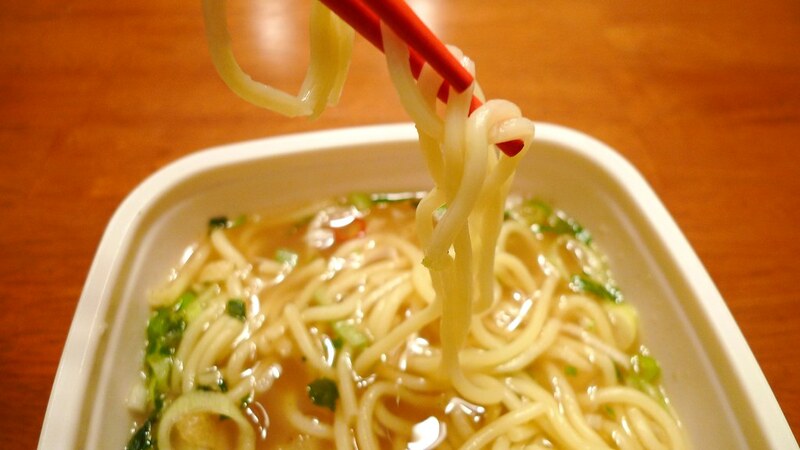 I have to agree that their noodles have a wonderful texture. Also, did the instructions say to leave in the water, for the soup? The instructions for this flavor said to drain out the hot water and then add the sauce, which would probably make it much more flavored. I will eventually have to give Annie Chun's another shot, so maybe I'll try the Korean Sweet Chili next. The instructions did not say to drain the water and as you can tell from the picture on the package, it is meant to be eaten in soup form. Thanks for commenting! 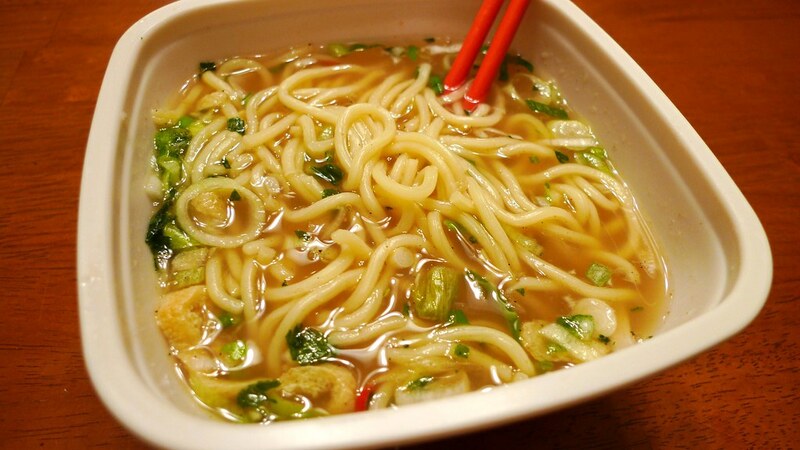 I HAD to post a review on the hot and sour soup! It was the worst soup I have ever had! It was not even close to the flavor of any hot and sour soup that I have ever had! Thanks for sharing, Hope this helps many!